One of the most interesting, and ignored birds in the swamps. This is a female, soft brown neck, sitting in a rookery. 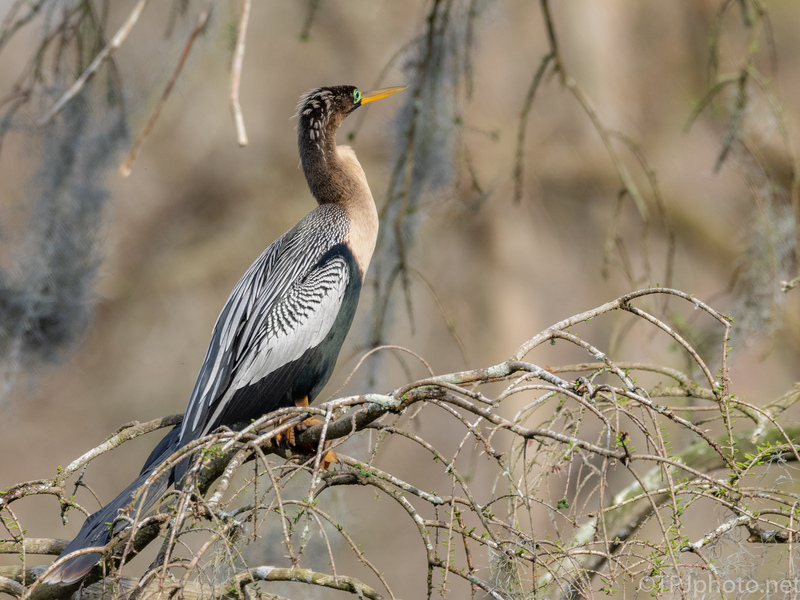 The more popular Egrets and Herons are the stars of rookeries, yet Anhinga are always right there with them. Above is an example of the female breeding colors. Turquoise rims ruby red eyes. Striking colors. The silver is more pronounced on the wings also. 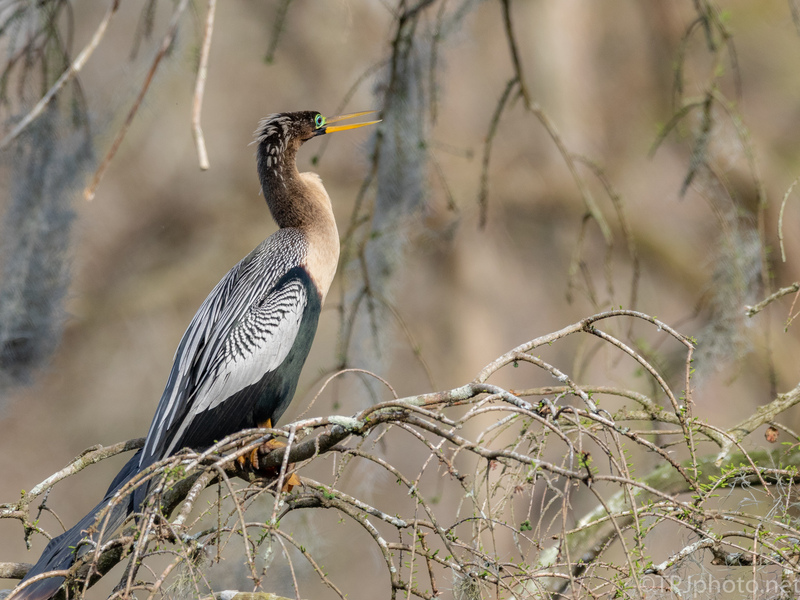 This year the Anhinga have been asserting themselves, in aggressive pairs. In some places they have driven nesting Egrets away and claimed the spot. Egrets are deadly so this was no simple matter. At this point Egrets have come back and retaken Cypress Trees. With all the turmoil you have to wonder if Herons can be victims and if any will have time for eggs. Alligators are even looking more civilized right about now. Go figure.